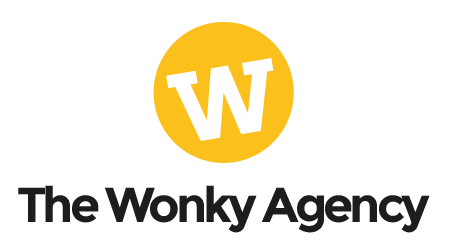 The Wonky Agency, Summary of our first year in business! 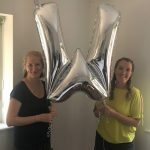 You may have spotted if you are a follower of #teamwonky that we turned one a couple of weeks ago, April 2018 marked one full year of The Wonky Agency Ltd and it very nearly passed us by! We are not new to the scene in any sense, combined we have over 25 years of experience in all things marketing, design and development but we finally took the leap from being self-employed to starting our own business. So, what have we learnt? Here’s the low down on our first year in business. The answer is a great deal – being a small business owner is a never-ending rollercoaster of highs and lows with some fab curve balls thrown in along the way to really keep you on your toes. This recent birthday present from SevenSeventeen (see pic above) sums it up perfectly for us, we are “so blessed” and yet “so stressed” at the same time! Here’s some of our learnings from the past twelve months. Commitment – it takes 110% commitment from everyone involved for a business to get off the ground. If you’re considering making the leap and aren’t quite sure if it’s the right thing to do, we recommend sitting on it that little bit longer, your idea and determination aren’t going anywhere. The reason we’re saying this is because there is no switching off when you are a small business owner. There is always something playing on your mind, be it the work itself, finances or expansion plans. You’re always chasing your tail and often the work you need to plough in behind the scenes is done in the evenings and weekends and the dedication and commitment is required from everyone involved. Your workload will double or triple too and that isn’t a joke! Not only will you have your work to do but all things business related will fall on you to. All the things that someone else used to do – there is no HR department (that’s you), finance team (again that’s you) or marketing team (yes, you again) so you really do have to be committed to making it work! 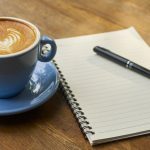 Flying Solo – There are very little resources available to small business owners and we’ve found networking groups and social media and wonderful resource to meet others in similar situations. If you’re new to working for yourself, or a start-up we would recommend looking at what is on offer in your area. The chances are, someone is a step ahead and can give you some much needed advice. We’re members of our local Chamber of Commerce which has introduced us to other local businesses and holds regular seminars on popular subjects (most recently GDPR) and our local Girl Tribe Gang have a Beaconsfield tribe which if anything is at the least nice excuse to get out once a month! If you are based at home you may find a desk available to rent or shared office space to help relieve the cabin fever that may start to set in! Admin – Organisation is key, the amount of paperwork when we transitioned from a sole trader to a limited company surprised us and we really recommend a little and often approach. We wouldn’t call it ‘nagging’ but gentle reminders to save quotes and invoices down every now and again are much easier than block booking time out to sort through 12 months worth of admin! Collaborations – We love a good collaboration and are often introducing clients to one another to see how they can benefit from working together, we mentioned this over on the grid yesterday. Is there another local business that you could team up with somehow? We’ve introduced a bespoke chocolatier and luxury florist, not because they are both clients of The Wonky Agency, but because they both offer wedding packages and attend local wedding fayres. There will be some learnings they can share with each other and at the very least a friendly face at the next event. Believe in yourself – Don’t undersell yourself or play down the services that you offer. We’re guilty of doing this at times and doubting ourselves but the reality check is, we code ourselves and all have invaluable hands-on experience both client and agency side. You may be a newbie but you’ve taken the plunge and have made the investment in yourself. You don’t need to offer things for free or at a discount. It’s ok to charge what you feel you are worth without feeling guilty for doing so – if someone is doubting your quote, they don’t appreciate what you have to offer them – it’s that simple! We recently came across an article that summed it up nicely – be more toddler! If you’re on the entrepreneurial rollercoaster with us hopefully some of this has resonated with you. If you are about to take the plunge, grab the opportunity with both hands and enjoy every minute (your alcohol consumption may increase slightly though!). As ever, do get in touch if you’ve got any questions, we’re a friendly bunch and you can reach us on info@thewonkyagency.com.